The smallest of the Canadian Rockies national parks is impressive in its own right. Nowhere else in the world will you find a UNESCO World Heritage Site, an international peace park and a biosphere reserve all rolled into one. Hike endless trails. Take a boat cruise across an international border on the deepest lake in the Canadian Rockies. 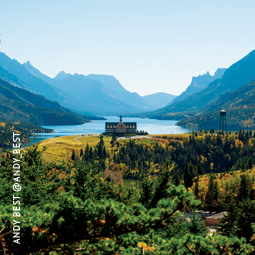 The village of Waterton at water’s edge has all the amenities and waterfalls. 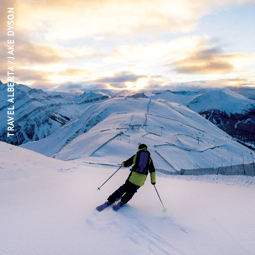 Alberta has one of the longest ski seasons in North America, with resorts open from November to May. All have a fabulous reputation for their powder snow and the reliability of the conditions. Well-equipped resorts and relatively few crowds ensure the hills of the Albertan Rockies make a compelling wintersports choice for families, beginners and experts alike. 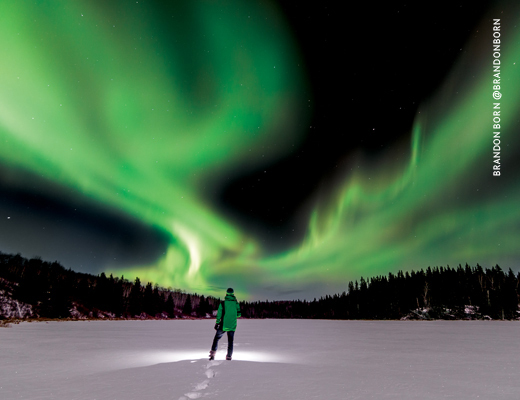 Jasper is the world's second largest Dark Sky Preserve (and certainly the most accessible). 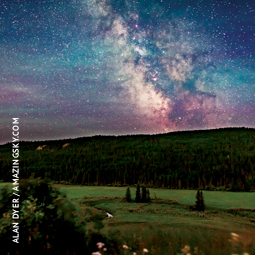 There are approximately 100 billion stars in our home galaxy - the milky way - and on any clear night in Jasper it feels like there are way more than that. 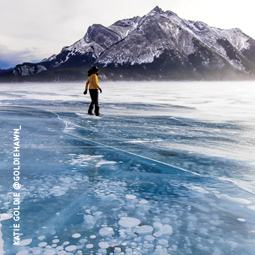 In winter, you can skate just about anywhere in Alberta. The climate creates the ultimate outdoor skating experience. Your skates provide a sense of freedom like no other as you fly across the ice at exhilarating speeds. Hundreds of species call Alberta home – 587 to be exact. 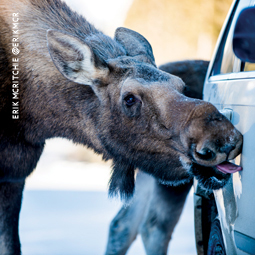 Watch for Alberta’s all-stars: moose, grizzly and black bears, elk, bison, bighorn sheep, mountain goats, lynx, coyotes, wolves and wolverines. Five national parks and more than 250 provincial parks and easily accessible natural areas protect almost 600 species. This is where the dinosaurs roamed 70 million years ago. 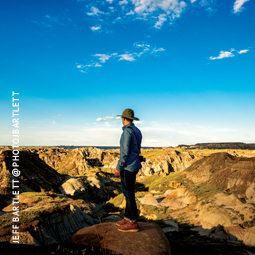 Fast forward to present-day central and southern Alberta where their bones now rest in ancient riverbeds, framed by the maroon-striped canyons of the mysterious Canadian Badlands. Wander through the cottonwoods along the banks of meandering rivers. Ride horseback through prairies and grasslands just like the early cowboys and ranchers. We’d like to make sure you know when we've added fresh content here, including the latest features, blogs and reviews, product news you can really use and our pick of the best trade incentives and events out there. Sign up to Selling Travel Weekly and we can keep you up to date on the industry and inspired to sell more travel.